And the walls come tumbling down. This afternoon I am trying to calm down, without much success. 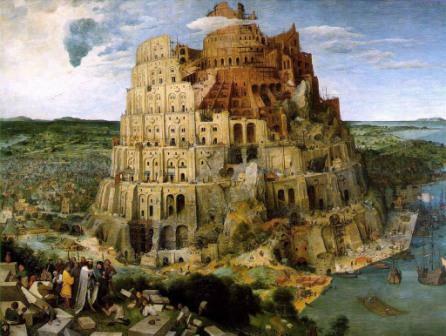 Let me explain – it’s kind of complicated. Congress has just passed an energy bill, which among many things provides for opening U.S. coastal areas to offshore drilling. Only a moron could think of this act as anything except rearranging deck chairs on the Titanic. Hey folks – drill all you want, we’re still sinking! But as if that wasn’t enough, the other bill likely to pass through Congress before they recess for elections this fall is one that will provide $25 billion to U.S. automakers. The funds will be awarded to the auto industry as a wonderful thank you gift for failing to make environmentally oriented (there is no such thing as a sustainable car, but I will go on) products that people actually want to purchase. Since the automakers are all getting badly thrashed by overseas competitors, they want taxpayers to help them become competitive. This blindingly absurd and preposterous turn of events would be hilarious, except one thing – it’s going to happen. Oh, how the mighty have fallen – Fannie, Freddie, AIG, Lehman’s, Merrill Lynch, GM, Ford, Chrysler. And now comes the punch line. 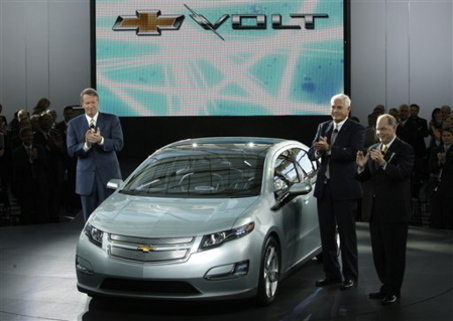 GM CEO Rick Wagoner, on the occasion of GM’s 100th anniversary, yesterday unveiled the Chevy Volt. Wagoner, on the left, and the Volt. It won’t be available until 2010. It’s an electric hybrid, and they really haven’t gotten the technology unkinked yet. But what terrific timing – now we can all see that GM’s heart is really in the right place. But just for fun, let’s do a little comparison. 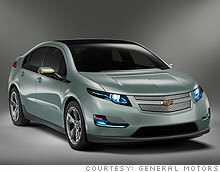 Chevy Volt: range on a single charge of the batteries (before the 1 liter, 3 cylinder turbocharged gasoline fired engine kicks in) 40 miles. Weight: in the range of 3,200 pounds. Cost: expected to be between $30,000 and $40,000. 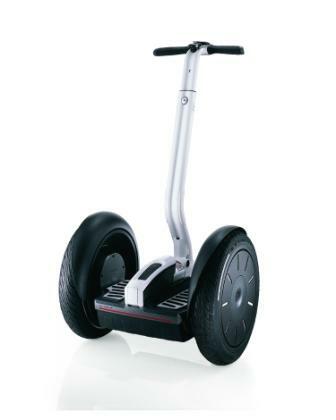 Segway i2. Range on a single charge: 24 miles (60% of the Volt). Weight: 105 pounds (1/30th of the Volt). Cost: under $5,000 (1/7th or 1/8th the Volt). Segway inventor Dean Kamen must have gotten something approaching $25 billion to develop, manufacture and market the Segway, right? Probably not. I mean, that’s how it’s done in the U.S., right? If you are a failure, can’t figure out what the hell you are doing, and have run your business into the ground because you are led by morons, then you put out the old tin cup, and presto! And you can be in almost any business – finances, banking, insurance, cars. All you need is greed, stupidity, shortsightedness, deceitfulness and selfishness and just look at how far you can go. Amazing.